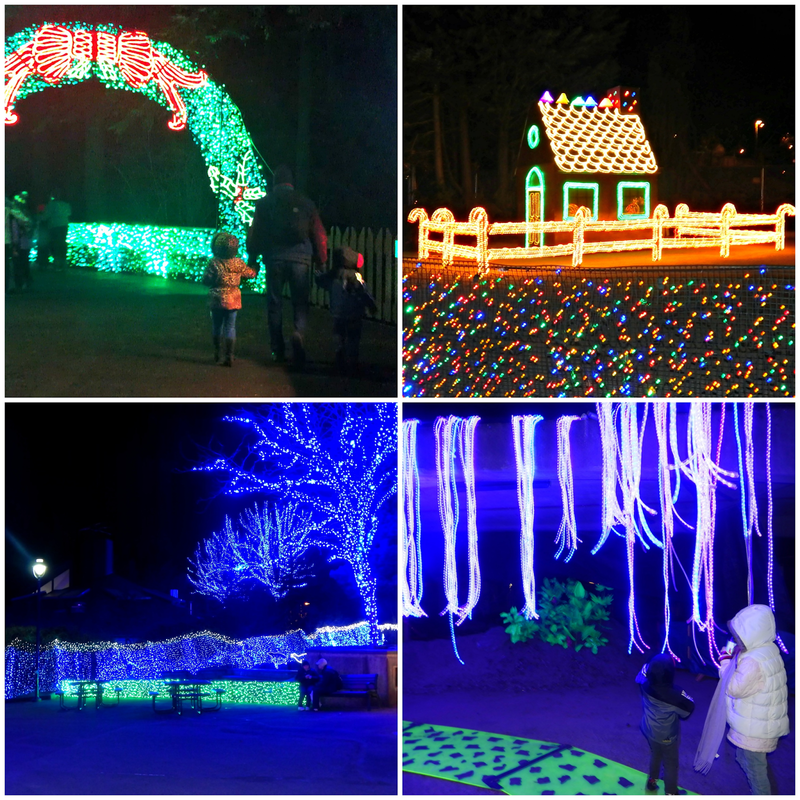 Last weekend we drove up to Portland for a couple activities and took the kids to the Oregon Zoo ZooLights. We had never been before and had heard lots about it, plus I don’t know of any kids that aren’t fascinated with Christmas lights (mine are always thrilled to see them) so we thought it might be fun for the whole family. We got there about 4:45 (it opens at 4:30) and we bundled up really warm, because last week temperatures were ridiculously cold for this area. We literally had layers upon layers of clothes on the kids to keep nice and toasty. 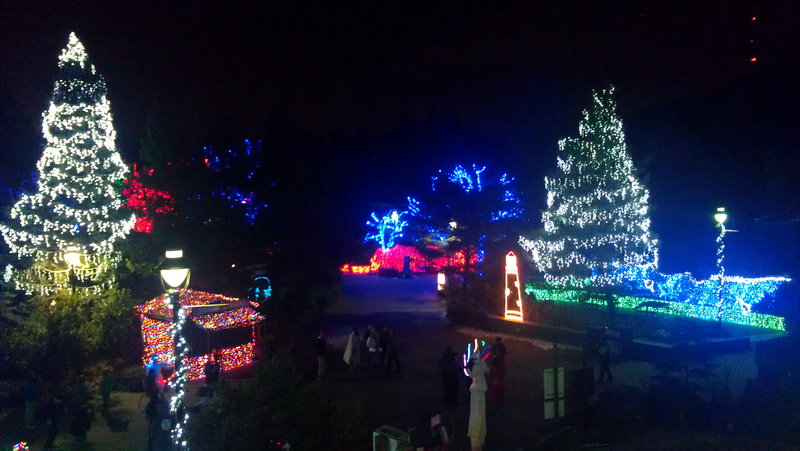 The zoo was lit up with thousands of lights, and it was magical. 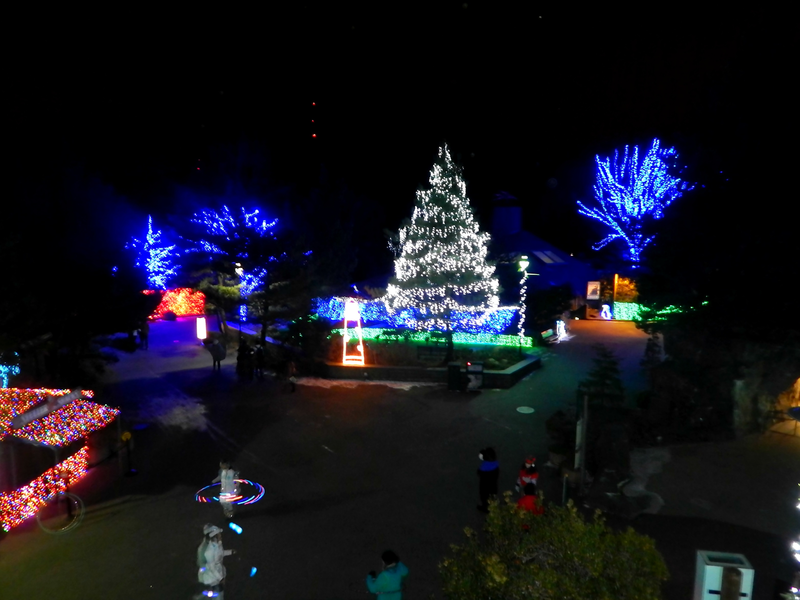 We walked around sipping warm cocoa and watched the animated displays as well as live performers that were wandering around outside with hula hoops and other props. The kids were a little disappointed when they realized that they weren’t going to be able to see all of the animals, but we did get to see monkeys which really excited them. All in all the kids were in awe and its worth the experience to check it out! I would suggest checking the forecast prior to leaving so you can dress appropriately, and plan on grabbing some hot cocoa there, and if its really cold again, I would definitely spend the couple bucks in the gift shop and buy hand warmers! 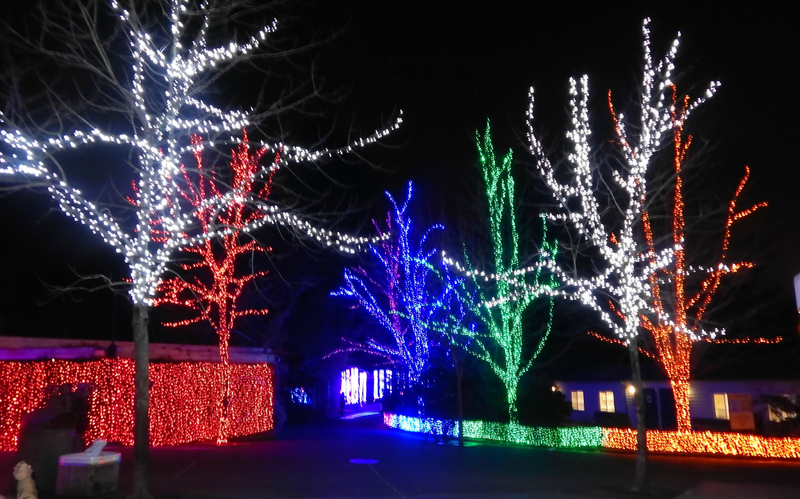 The ZooLights run through January 5th, and you can find out more information on the Oregon Zoo website. The holidays are about making memories and holding traditions, and this is the perfect activity for both.